The flowerbed at the southern end of the Mall was created in 1972 to commemorate the 150th birthday of Frederick Law Olmsted, co-designer of Central Park. It's appropriately placed just south of Literary Walk, with its magnificent stand of American elms, Olmsted's favorite tree. 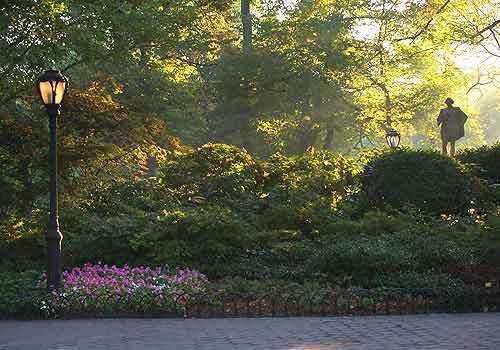 With its plantings of beautiful annuals and perennials, the landscape offers the year-round color of tulips, pansies, phlox, azaleas, Cherry Laurel and Japanese Maple. Mid-Park at 66th Street just south of Literary Walk.